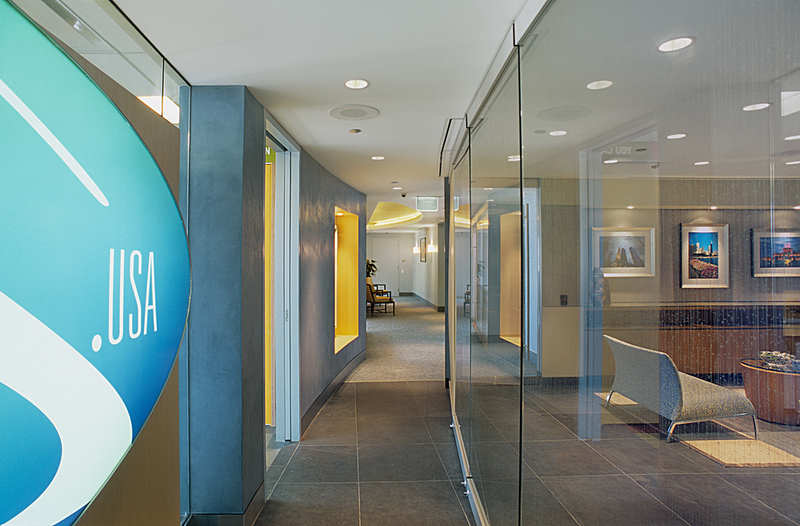 The new Chicago/Midwest Headquarters of S. USA, an insurance and financial services company, serves as the core of their Creative, Marketing and Sales divisions and significantly supports their expanding national presence. S. USA envisioned an environment that reflected their spirited creative energy and humanistic mission. The goal was to encourage staff interaction and communication. 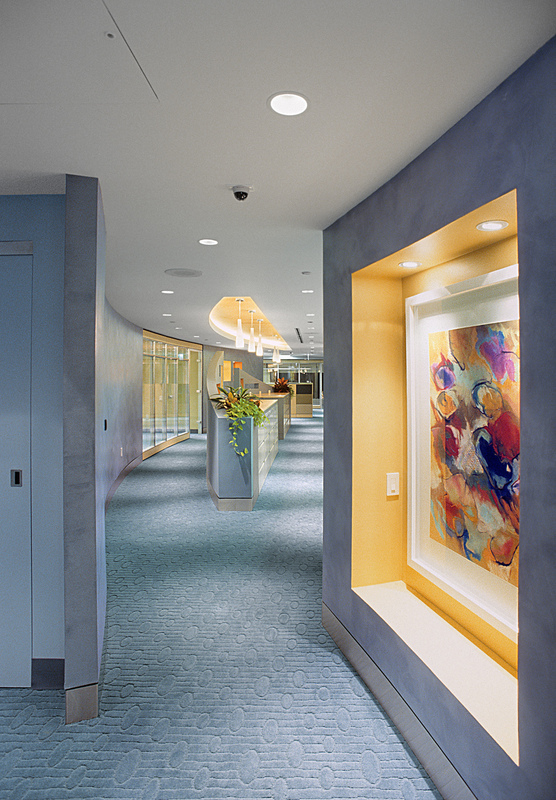 Private offices were surrounded in glass, angled and placed in the interior. Staff areas were located near natural light which floods thru the interior space. Walls of curved glass, acoustical movable walls, multi-use conference rooms, a meditation/lounge area, support S.USA needs and evoke a modern working environment and create warm positive surroundings.